Hello! 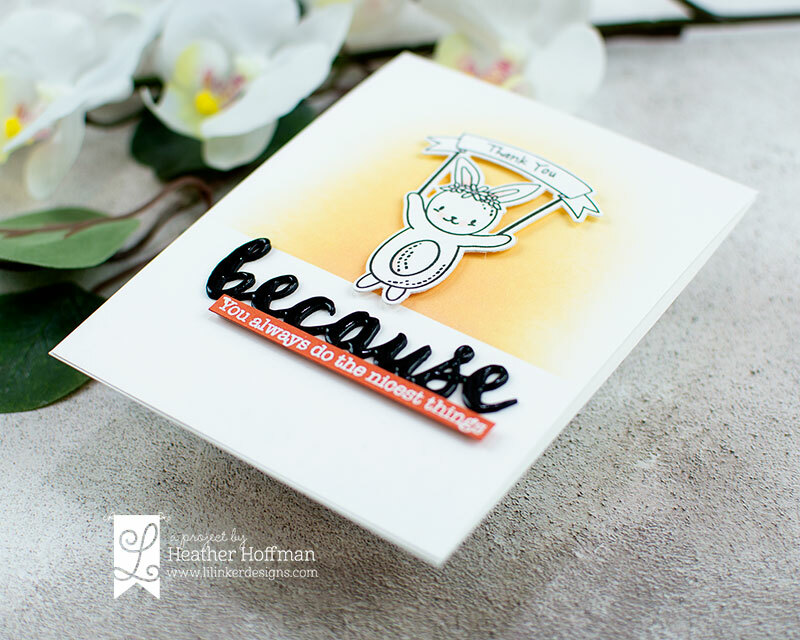 I'm stopping by with another card and sale reminder - both for Lil' Inker Designs! 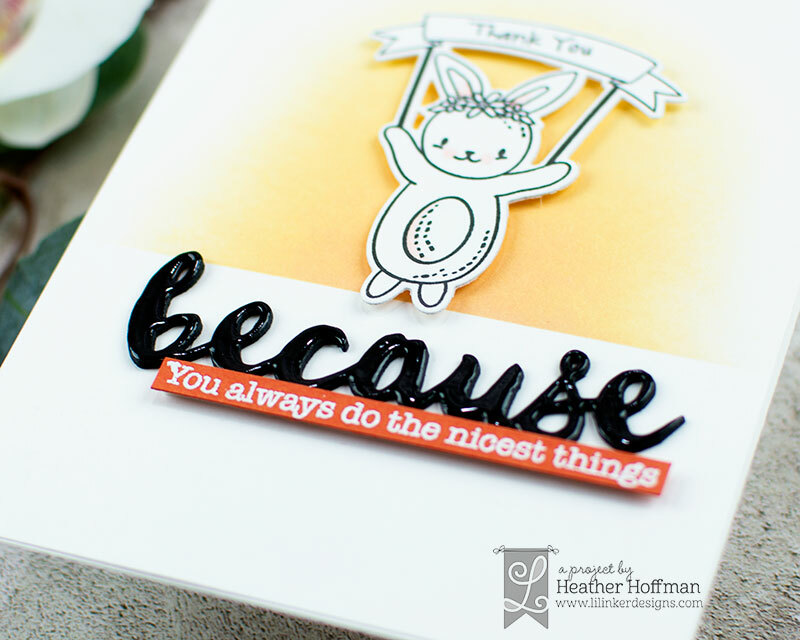 I started off by stamping the darling bunny from Easter Parade stamp set, and die cutting with the Coordinating Easter Parade Dies. I used just a touch of pink Copic marker on the ears, cheeks, and tummy - blending out with a colorless blender. Next, I used some Post it Tape to mask off the bottom of the card, and did some simple ink blending with Dried Marigold Distress Oxide ink. I removed the mask, and adhered the bunny with foam adhesive. Next, I die cut the Because Word 3 times from black cardstock, adhered each layer together, then adhered it to my cardbase. I then coated the top of it with Glossy Accents for a bit of shine! Finished off with a tiny sentiment from Friend Stamps, heat embossed on a strip of deep orange cardstock and popped up with foam adhesive. 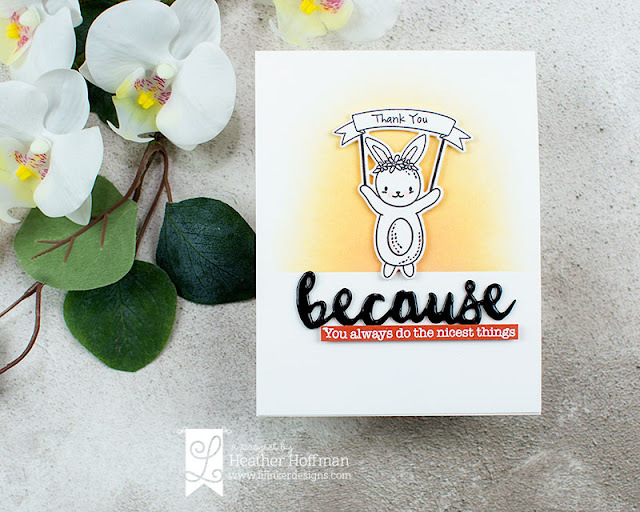 Don't forget you can get the adorable Love You Much Border Die FREE with a $25 purchase! No coupon code needed, so head HERE to shop! This sale runs through February 14th!